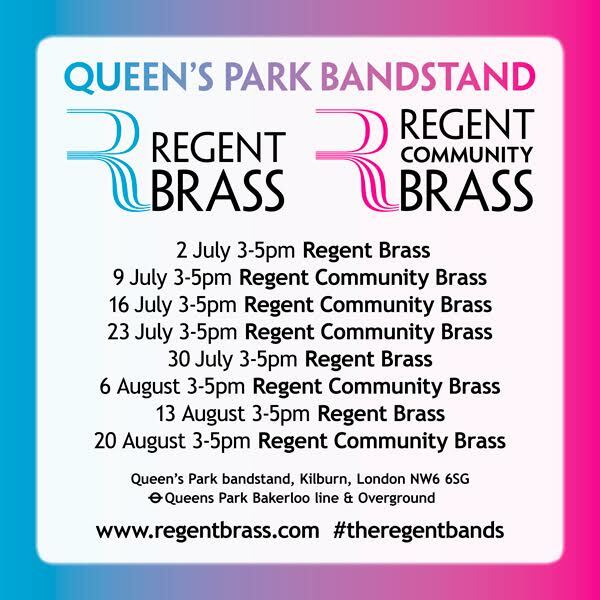 Regent Community Brass and Regent Brass return to marvellous surroundings of Queens Park to present a series of Brass in the Park concerts on Sunday afternoons. The bands will play from 3pm to 5pm in the bandstand to the north of the park. With a wide variety of music written and arranged for Brass Band, programmes will comprised of classics, marches, show tunes, film themes and much more. Bring along a picnic and enjoy the atmosphere!